Capitol Hill veteran Kenneth Ackerman re-creates an American political landscape where fierce battles for power unfolded against a chivalrous code of honor in a country struggling to emerge from the long shadow of the Civil War. 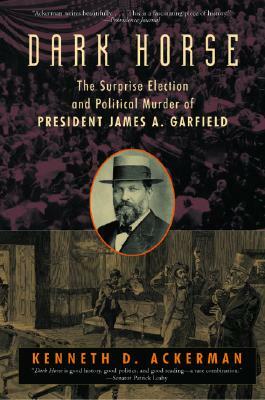 James Garfield's 1880 dark horse campaign after the longest-ever Republican nominating convention, his victory in the closest-ever popular vote for president, his struggle against bitterly feuding factions once elected, and the public's response to his assassination is the most dramatic presidential odyssey of the Gilded Age-and among the most momentous in our nation's history. This journey through political backrooms, dazzling convention floors, and intrigue-filled congressional and White House chambers, reveals the era's decency and humanity as well as the sharp partisanship that exploded in the pistol shots of assassin Charles Guiteau, the disgruntled patronage-seeker eager to replace the elected Commander-in-Chief with one of his own choosing.